Hi! 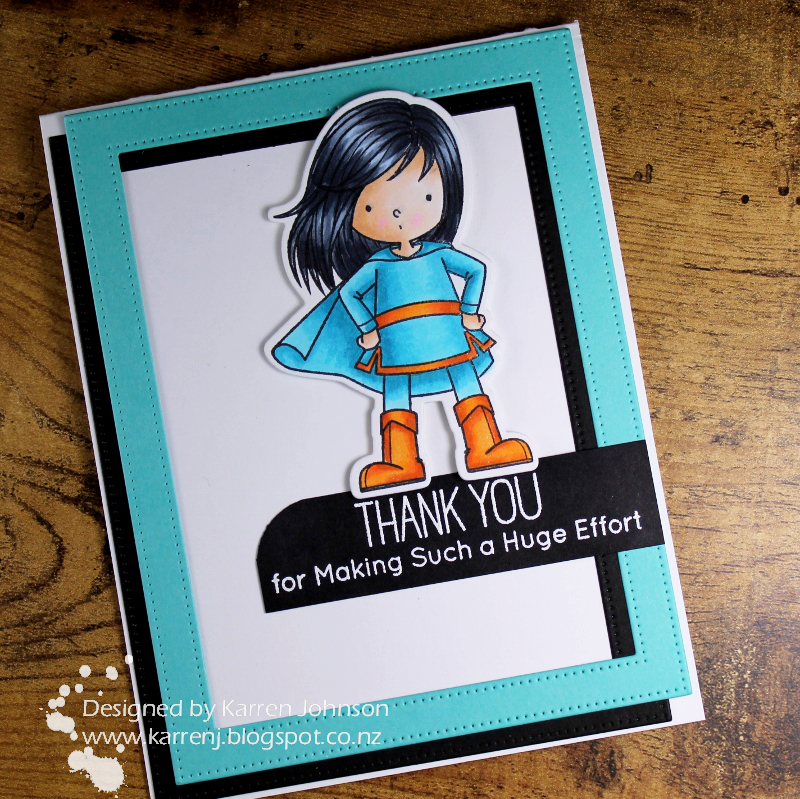 Today's card was made using the colors from Color Throwdown, the sketch at MFT Stamps and the Hero theme at CASology. I stamped and colored the girl using Copics and the CTD colors before die-cutting her with the matching die. I colored all the orange elements with Spectrum Noir Clear Sparkle Pen and set her aside. For the frame as per the sketch, I die-cut two pierced rectangle frames - one in black and one in Hawaiian Shores and adhered them together offsetting the aqua one slightly. As well as providing some added interest, this also beefs up the size of the frame to more match the sketch. Finally the sentiment was white embossed and cut out. The top left corner was rounded with a Corner Chomper. The girl was adhered with foam tape and my card was done. Thanks so much for visiting. I really appreciate the time you take to visit me here. 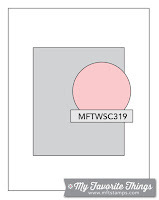 Edited to Add: This card got a shout out at CASology and Color Throwdown. Karren, what a great card for all of the challenges! I love this image and your amazing coloring...especially her hair! Wow! Very fun card, she makes a perfect heroine! Thanks for joining us at CASology! Isn't she wonderful all super dressed in blue and orange, her black hair is coloured to perfection... you make it look sooo easy! Oh my gosh, I LOVE this card, Karren! Beautiful Copic coloring, as always, and I love your skewed double frame! You really nailed it combining challenges, too!!! Totally adorable and great use of the colors!! So happy you joined us at CTD!! 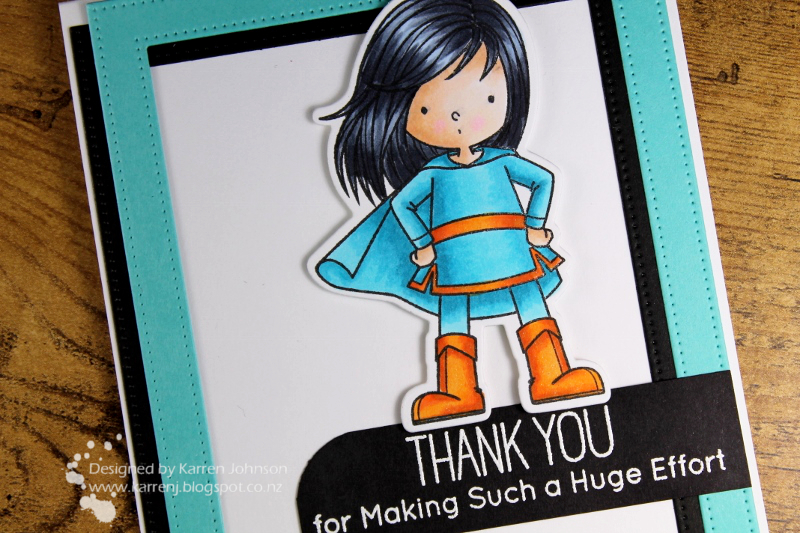 SUPER cute card and a great way to rock the throwdown colors! Your coloring is fabulous! Love how you have used the colours and your colouring is just great!!!! Such a sweet little superhero!!!! Lovely card!!!! Fabulous colouring, and I love how you offset the blue from the black frame. 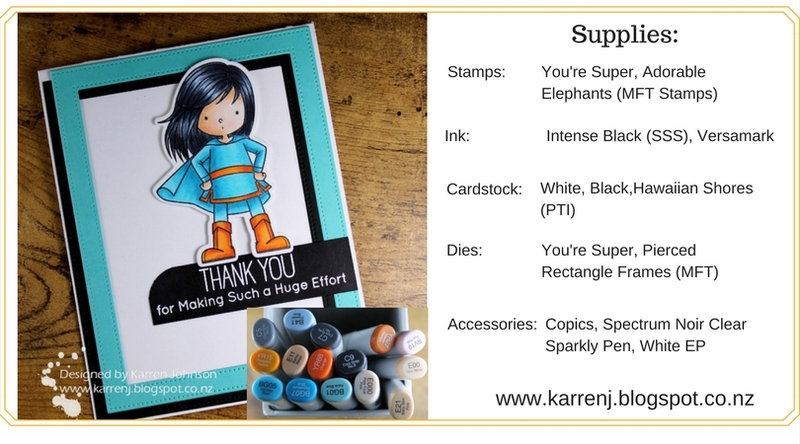 Your coloring always blows me away, Karren! Love these colours and the awesome way you layered the frames. I might have to snag that idea in the future! 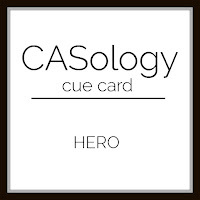 Thanks for playing along with CASology this week! This is so precious, Karren!! So glad you joined us for this week's Color Throwdown!